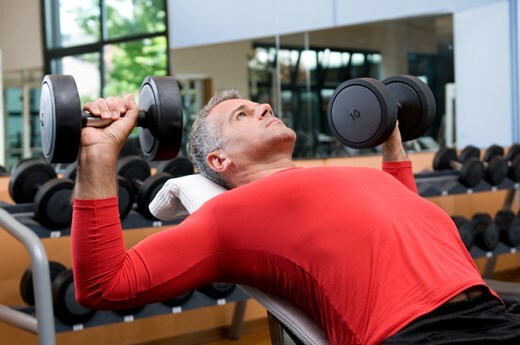 As we get older, we begin to lose muscle mass, approximately 1% every year. But more importantly, the decline in muscle strength declines at a rate 3-times greater. The consequences of this decline in strength are significant, with lower muscle strength being associated with an increased risk dementia, needing higher care, and mortality. If we told you we had a drug that you or a loved one could take, that would help you on and off the ground more easily, would you take it? What if you also had a hip fracture, and this same drug could reduce your risk of mortality by 81%, or the risk of going to a nursing home by 84%? That drug is RESISTANCE or STRENGTH training. By this, we mean using weights, resistance band, or machines to train our major muscles groups at around 80% of their max capacity, and at a high intensity (at around 7-8 out of 10 perceived exertion). Studies have show consistently that resistance training, performed at least 2x per week, improves muscle mass and has more wide-ranging health benefits. These include: increased bone strength, better management of blood sugar levels, better cardiovascular health, better mental health, improved quality of life during cancer treatment, and reduced risk of falls. The Australian public health guidelines suggest doing resistance training at least 2-3 times per week. Keep in mind that it must be moderate to hard. As we get older we begin to lose muscle mass, approximately 1% every year. But more importantly, the decline in muscle strength declines at a rate 3-times greater. The consequences of this decline in strength are significant, with lower muscle strength being associated with an increased risk dementia, needing care, and mortality. But should we accept this as our fate, or is there anything we can do prevent, reverse or at least slow this age-related decline?